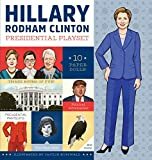 In this slim but intense volume Dianna E.
The Hillary Rodham Clinton Presidential Playset by Caitlan Kuhwald is an absolutely fantastic book for adults and children alike. “Get your score card! Can’t tell the players without a score card!” The sounds of summer. In an election year, the sounds of the world politic.